ROK Cup Promotions and ROK Cup USA are pleased to announce their much-anticipated 2018 calendar. With the karting landscape changing in North America, a careful approach was made to solidify 2018 race dates that would not only be good for teams and drivers, but also good for the sport of karting in the United States. To start off the 2018 season, ROK Cup USA will begin at the 20th annual Florida Winter Tour with the traditional three-event format during the first three months of the year. With ROK International Finals tickets available to the champions of Vortex Mini ROK, Junior ROK, Senior ROK, Masters ROK, Shifter ROK, and Shifter Masters ROK, ROK Cup USA will pick up where previous promoters have left off, leaving the historic FWT program in place, forgoing the double weekend as in years past and moving to a one weekend only event. 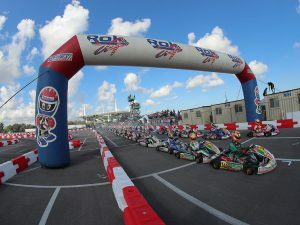 The Vortex Micro ROK champion as well as second and third place championship finishers in all ROK classes will receive a ROK the RIO prize package that includes a free entry to the much-anticipated Vegas program. The traditional qualifying, three heat race, prefinal, final format will remain intact over the three official event days each and every weekend with more details to be announced in the future. The 2018 Florida Winter Tour, the first with ROK Cup USA as promoter, will begin January 18-21 at the Palm Beach Karting facility in Jupiter, Florida before tracking north to Ocala Gran Prix during the February 15-18 weekend. Both of these facilities are familiar with the Florida Winter Tour program and participants, and always provide for some great racing action. 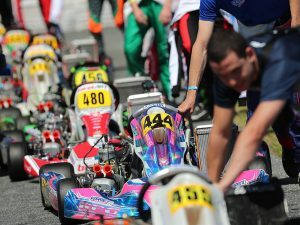 Series champions will be crowned at the March 15-18 round at Orlando Kart Center in Orlando, Florida, another returning track to the series, and a favorite among many karters. Something new for 2018 will be the ROK Festival. These one-off event weekends will not only have big prizes but a renewed effort to bring the word ‘FUN’ back into karting. 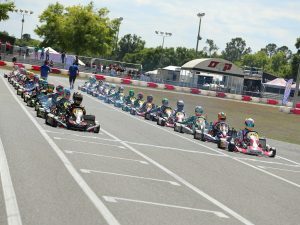 The first of the ROK Festivals will take place May 17-20 at the multi-circuit NOLA Motorsports Park facility just outside New Orleans, Louisiana, one of the best facilities in the country and undoubtedly a racer favorite. The second and final event of the ROK Festival program will take place at Oakland Valley Race Park (OVRP) in Cuddebackville, New York, located in the Northeast and close to ROK Cup Canada distributor Goodwood Kartways. Each event will see a unique trophy theme with the full podium receiving ROK the RIO tickets. Winners of the OVRP ROK Festival will not only obtain ROK the RIO tickets but also International Final tickets to join Team USA in South Garda, Italy as long as they participated in both Festivals. The final event on the 2018 ROK Cup USA calendar will be the first annual ROK the RIO at the Rio All-Suites Hotel & Casino in Las Vegas, Nevada. Taking place October 30-November 3, 2018, the premiere event will award cash and prizes to each and every Vortex ROK division including $2500 to first, $1000 for second, $750 for third, $500 for fourth and $250 for fifth in Vortex Micro ROK, Mini ROK, Junior ROK, Senior ROK, Masters ROK, Shifter ROK and Shifter Masters ROK, making a total cash purse of almost $35,000. Now, with a fresh slate, renewed focus and energy, and a solid management team in place, ROK Cup USA is ready to grow the Vortex ROK brand in 2018 and beyond. Please stay tuned for more details on the 2018 Vortex ROK, local and regional racing programs covering North America.